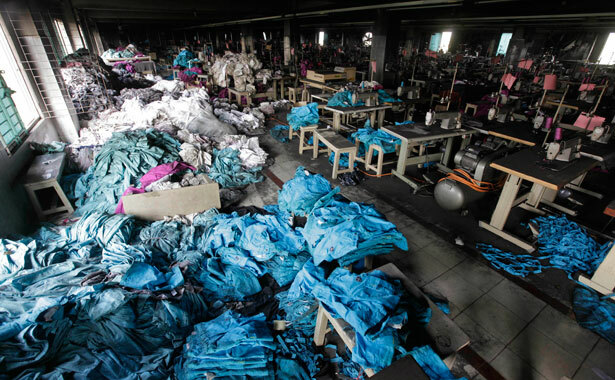 Apparel workers are demanding action from the retail giant following a deadly factory fire and a set of beatings and stabbings allegedly fomented by a contractor. Survivors of a factory fire in Bangladesh and an armed assault in Nicaragua both called this week for Walmart to crack down on abuses in its global supply chain. Former garment worker Sumi Abedin, who jumped from a third story window to escape Bangladesh’s Tazreen factory, will lead a mock “funeral procession” tonight to the New York City home of Walmart board member Michele Burns. Tomorrow, students and other supporters will converge on the New York and Los Angeles offices of SAE-A, a Walmart contractor accused of fomenting violence against union activists. Walmart did not respond to a request for comment on either case. “We’re making their clothes, the clothes they’re going to sell,” fired Nicaraguan factory worker Darwing Lopez-Alanez told The Nation in Spanish. “And so they have a role in what goes on inside there.” Lopez-Alanez, the secretary-general of a new union seeking recognition, was one of fifteen union leaders fired at two factories owned and operated by SAE-A, an apparel company based in South Korea. Lopez-Alanez said that he began organizing with his co-workers in hopes of confronting excessive workload and mistreatment by management. “I had seen it all,” he told The Nation. Because the recognized union in the factory always sided with management, said Lopez-Alanez, he and a group of co-workers began trying to organize a new one. Abedin said she woke up outside with a broken leg and a broken arm. When she turned to help the co-worker who had jumped just before her, he was dead. A doctor has told her not to return to work for a year. “I lost many of my co-workers and friends,” Abedin told The Nation. Abedin and Akter’s trip included a stop in Walmart’s Bentonville, Arkansas, hometown last week, where they unsuccessfully sought meetings with Walmart executives at company headquarters and at the home of one of its vice presidents. The Bangladeshi activists have also been targeting other brands that have sourced goods from factories where workers died in fires; yesterday they were escorted out of a Gap location in New York’s Herald Square. What happened to working class New York? Read Joshua Freeman's take in The Nation's special New York issue.